So we start this illustrious journey unsurprisingly with one of my favourite beers, one of my go-to beers as it were. 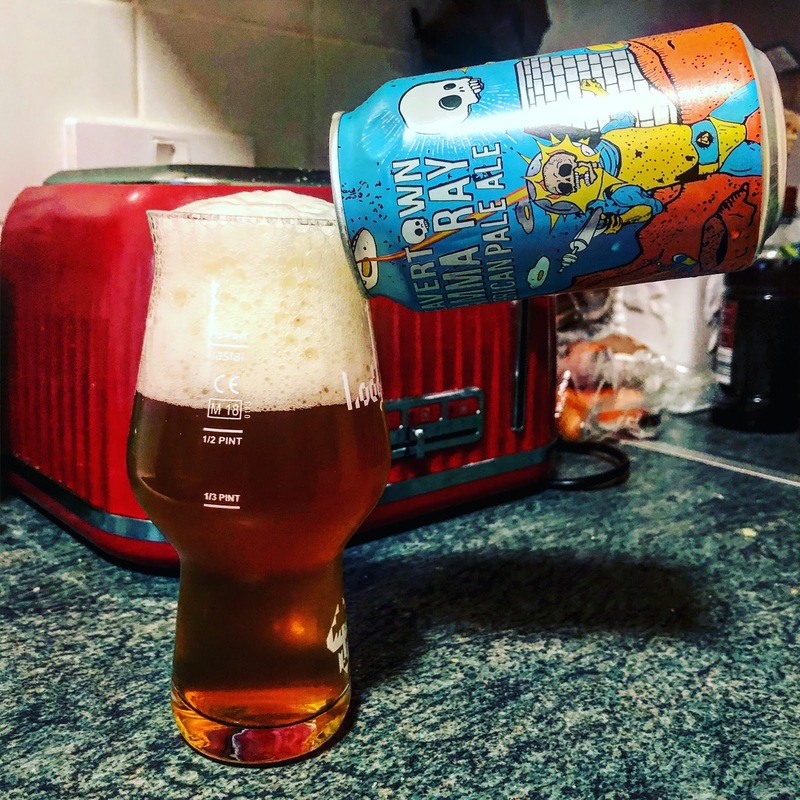 Gamma ray is a 5.2Apv American Pale ale brewed in rainy England by Beavertown. comes in a very bright and colourful can, beautifully golden in the glass with a head that’s holy and goes on for days, has a sweet aroma with a subtle hint of hobs. subtly bitter on the tongue with a layered hoppy flavour. This beer is sessionable for days and the last is as good as the first.